They say matches are made in heaven! But in this case, they met at Texas A&M University in College station, TX. 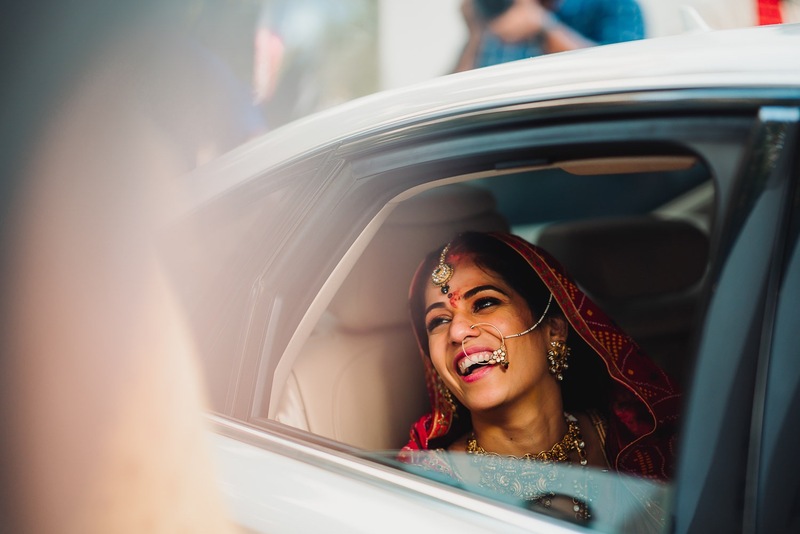 Our bride, Vartika and Swaroop had quite the romance with being college sweethearts and then facing the most difficult aspects of any love relationship – a long distance relationship. But what is meant to be, will always be! 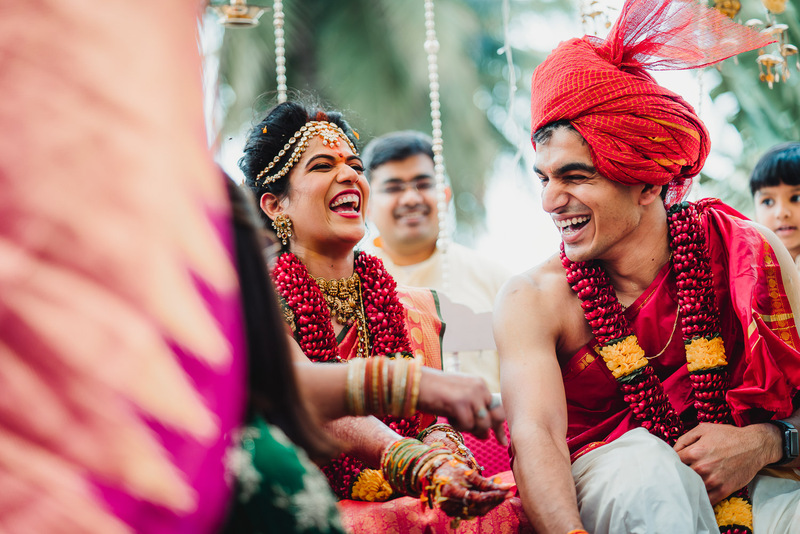 After 5 years of love, laughter with 3 years of long distance in the mix, they said ‘I do’ The Golden Palms Resort and Spa, Bangalore in December! Both belonged to different cultures, Swaroop being a Konkani while Vartika is from Lucknow but she was raised in South India. Keeping this in mind, they wanted to design a fusion wedding that would respect both their north and south Indian roots. They wanted to incorporate the best of both the cultures and have a fun filled wedding and we got to capture just that! They say that there is nothing like a mother’s love. And that could be seen through the meticulous planning from Vartika’s mom. She travelled across India and handpicked the best things that each location had to offer. A lot of thought and care went into planning every piece of clothing and jewelry for all their events. They had gotapatti maangtikas on mehendi, benarasi dupattas on baarat and gajras on wedding as a welcome present for all our guests. These elements added a lot of colour and life. Don’t believe us? Check out the photographs! As planned they exchanged garlands on a bridge built over the swimming pool amidst their friends and family. We at Vivek Krishnan believe that true happiness is what makes for the most picture perfect moments and that’s what we got!